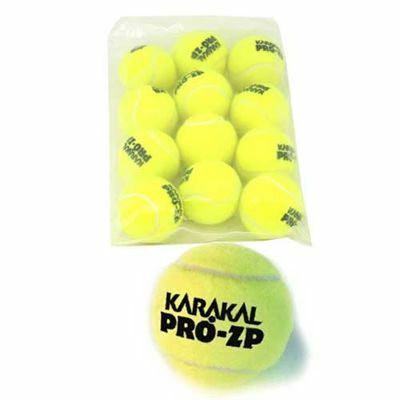 The Karakal Pro ZP Tennis Balls are zero pressure training balls made of American felt. Pro ZP Tennis Ball is a transition ball and is a part of the LTA Traffic Light Scheme (Red). 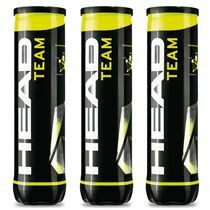 The Karakal Tennis balls designed and engineered by Karakal meet ITF specifications and are ideal for tournament as well as for club and coach play. There are 12 balls in one package. for submitting product information about Karakal Pro ZP Tennis Ball - 1 dozen We aim to answer all questions within 2-3 days. for submitting product information about Karakal Pro ZP Tennis Ball - 1 dozen. We aim to answer all questions within 2-3 days. If you provided your name and email address, we will email you as soon as the answer is published. for submitting product review about Karakal Pro ZP Tennis Ball - 1 dozen.